DA and his investigator cover up crimes against me by fbi, fbi operatives and police. Then, the DA Investigator contacts (see attachment) the very fbi thugs who are engaged in multiple and ongoing felonies against me, and he refuses to meet with me about the crimes by his friends in the Brownsville, Texas police. The investigator also violates criminal statutes of ORA by withholding the contents of his email to and from fbi assassins. 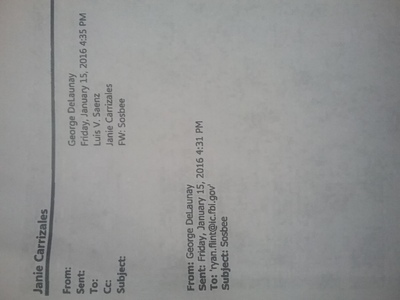 See my reports online on Posada and the attached email heading from DA Investigator and fbi.